The idea of creating a passive income is attractive to me, and I hope that over the coming two years the hundreds of images i’ve uploaded will start to generate a monthly inflow of cash. I went into it with eyes wide open and knew the dosh wouldn’t start rolling in straight away, but guess what, it hasn’t. 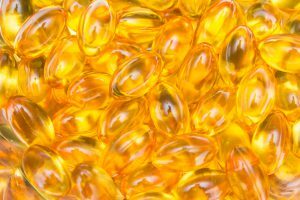 I uploaded this photo of fish oil capsules as a commercial image. It was easy to do in my own home and cost very little to make. Simple, low cost but visually pleasing images like this are a good way of starting a stock portfolio. The 200-600 images I uploaded to seven sites have taught me how to correctly compose, expose and make photos that people can use in publications or advertisements. The procedures for contributing and creating a workflow have also taught me new skills. 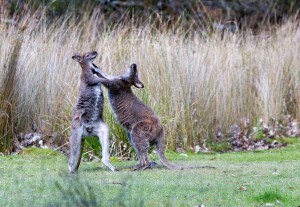 The above photo of Tasmanian wallabies is pretty interesting, but it wouldn’t be accepted for microstock photography. Images must be perfectly sharp when enlarged to 100%. This shot was taken at dusk, but motion blur occurred due to a slow shutter speed and there was too much noise from choosing a higher ISO. This meant that I couldn’t use it. Photos have to be technically close to perfect for acceptance by stock agencies, even if the image is very compelling. So, why stock? Well, if my photos are not being sold to a magazine or website and they are just sitting on my hard drive, they may as well be out there online and available for sale, albeit for only 35 cents a pop in many cases. 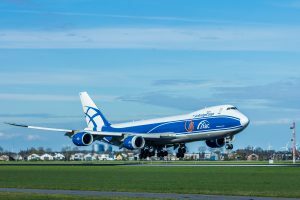 I photographed this 747 cargo plane at nearby Schiphol Airport and uploaded it as an editorial image. The location is close to where I live, which kept costs down and the image is compelling. Time will tell however if it is profitable though. Because the return for individual photos is so low with stock, it is worthwhile making sure your costs are also as low as possible. The reason for the title “my dirty little secret” is because many photographers despise microstock because it pays so poorly per photo. That offends a photographer’s sense of worth. I understand this, but I also look at from a different perspective. Over a long period of time this could represent good income, maybe. Also, many editors and designers only buy photos through the stock agencies and they don’t buy images from individuals. It’s sad for photographers, but that’s life. One has to move with the times. Another advantage of uploading to microstock agencies is that you don’t have to deal with people such as customers, gate keepers and editors. This reduces the amount of problems that can come from dealing with strong personalities, inflexible budgets and the clash of ideas. For some photographers, this is reason enough. Once the pics are uploaded, you can just monitor the stats that they generate. It’s a long-term game. Keep in mind, however, you could upload hundreds of images and still have no one buy them, this could be because they don’t fit with the buyers needs or, they have no commercial or editorial value. Eventually you will learn by your sales, and the advice that the other contributors post on the agency blogs. 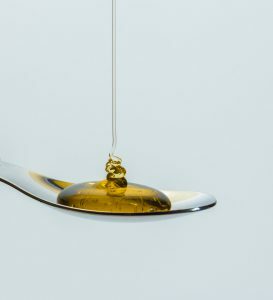 This image above of honey on a spoon is one of my best sellers, half an hour’s work and my daughter helping by pouring the honey – a great stock shot made. As I said, a lot to learn, but importantly, a lot of fun. If it isn’t fun, then I wouldn’t do it, because all of that work takes a lot of time and energy away from other endeavors. Over the coming year, I intend to expand my stock portfolio and to include video clips. I’m slowly starting to see sales go up too, so who knows, maybe it will work out – and, i’ll be having fun finding out.